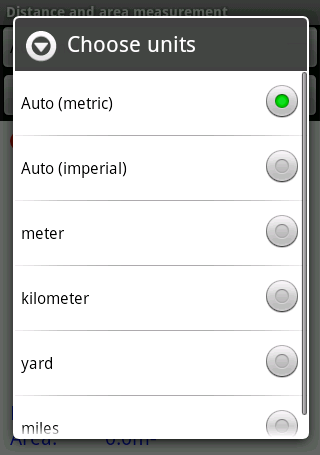 Distance and area measurement - Turn this application on and walk or drive around a region to measure its area. The path length is measured as well. To start a measurement; wait until the GPS receiver is ready and then press start. If the positioning is a little shaky in the beginning, press restart as soon as it has stabilized. 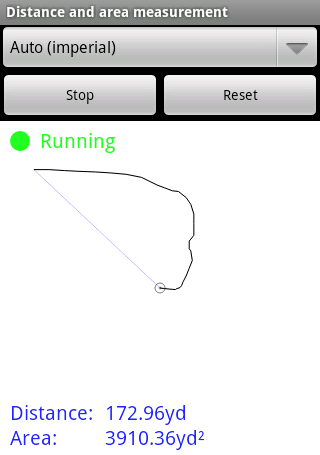 I downladed "Distance and area measurement Software App" for Aakaash UbiSlate 7c+. I could not get the app running, I am getting "Waiting for Signal" message.Please let me know how can I get this running properly.